Looking for Bedside Pocket Sheet Set - Supersoft Jet Stream in Full, Queen, or King Sizes? Dorm Co. 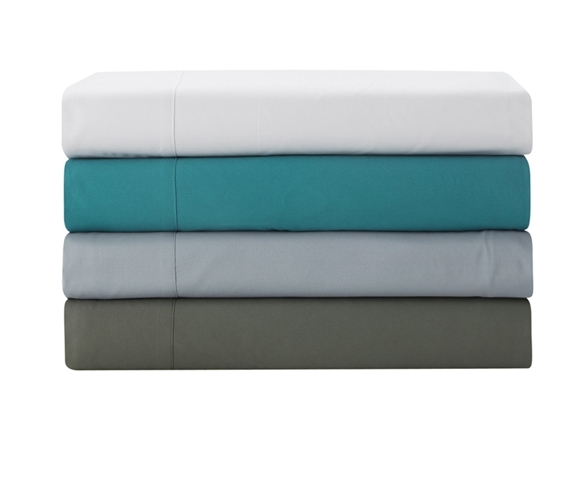 Tip: Unique pocket makes these Twin XL sheets a must-have for college bedding! Nothing says fresh and clean in a dorm room like white Twin XL sheets. The Bedside Pocket Twin XL Sheet Set - Supersoft Jet Stream makes sure that your dorm room maintains a relaxing atmosphere. 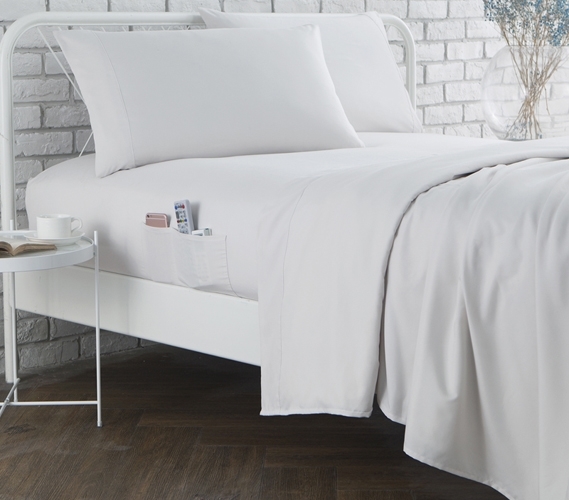 With a neutral white color, these Twin XL college sheets are easily matched with all of your dorm room decor. Your dorm room should be a relaxing place to return to after a long day of classes, and that starts with your dorm bedding. The Bedside Pocket Twin XL Sheet Set isn't just relaxing, though - it's also useful in your dorm room. This Twin XL college bedding contains two pockets on each side of your dorm room bed. These pockets on your extra long twin sheet set can hold a remote, your phone, even a small tablet - whatever makes your college life easier. The Bedside Pocket Twin XL Sheet Set comes with a fitted sheet, a flat sheet, and a pillowcase.